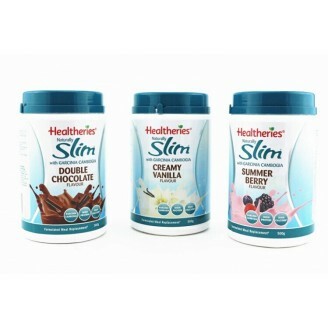 Why use Healtheries Naturally Slim Powders? Finding your eyes glaze over when it comes to healthy choices? Some days fighting the urge for a chocolate treat can be tough! What better way to support your weight management goals than with a yummy chocolate shake that ticks all the nutritional boxes! 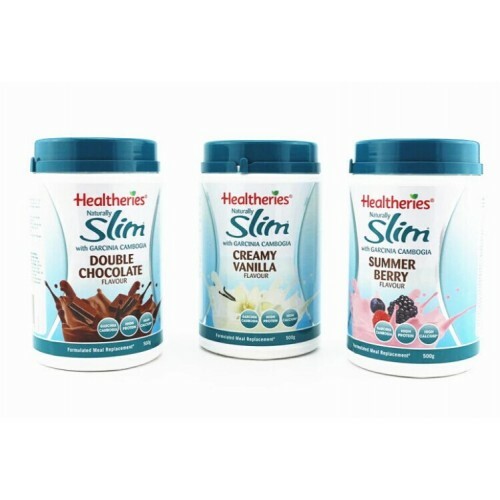 Not only are Naturally Slim Powders high in protein and calcium - they also contain fibre, vitamins and minerals for a balanced top-up, plus Garcinia Cambogia. What’s even better is that you can create your own concoction of flavours and nutrients by adding fruits, seeds or low fat yoghurt. Time is not an issue, in just seconds you can shake your way to a tasty snack or meal replacement. Enjoy one serve per day with a healthy diet, lots of fluids and exercise.